Have a blast with our new “summer lovin” inspired cookie cutters! 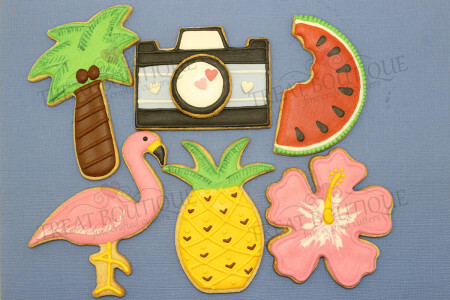 We have just added two new flamingo shapes, a watermelon slice, hibiscus, palm tree, pineapple and old fashioned camera. These fun shapes go well with our flip flop, sunnies and swimsuit cutters. Perfect for a pool party!